The New Year brings with it so many goals that it makes our heads spin. You may want to learn a new language, take time off work to travel, take up dance lessons, or hit the gym more often. Weight loss goals abound, and we often want to refocus on our health, too. This year, we are taking a different approach. We are focusing on one major goal for the year (though we may include smaller goals, too). So, if you have one goal that you want to accomplish this year, and it happens to be learning more about rhinoplasty, keep reading. We want you to understand a little more and make a more informed decision about your needs. The situations or conditions that keep you from getting other surgeries may keep you from getting a rhinoplasty procedure done. So, if you have a health condition that affects your immune system, or didn’t do well under anesthesia, those are important things to bring up in your appointment. Otherwise, if you are in good health, it all depends on what you’re looking for when it comes to a good candidate. You could be unhappy with your entire nose, or just a small detail of your nose. Either way, you are a good candidate for rhinoplasty. 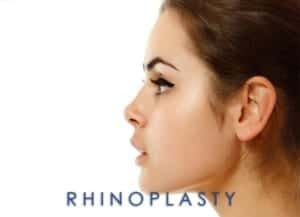 Through rhinoplasty, we can move the tip of your nose, shrink the size of your nostrils, balance an asymmetric nose, or reshape the bridge of your nose. A rhinoplasty can be performed in a few hours, and we follow up with you periodically to make sure you’re healing well after you have gone home to rest. About a week after your surgery, we may ask that you to come in for a check up. This visit is designed to check on your healing, as well as to help you progress. We will remove the cast and the packing from your nose around this time. Often, people do like to take a some time off of work or school to heal, so plan ahead for your own recovery process. It may take up to two weeks for your bruising and swelling to subside enough for you to feel comfortable to return to work. Your recovery time may vary, depending on what concerns you had and how well your body heals. If you’re ready to learn more about rhinoplasty, call us today at (858) 859-2563 to schedule a consultation.